Keyword research is the first and most important part of your SEO strategy. Before you start writing content for your website, you will need to identify suitable high-volume search terms. The SEO keywords will inform the direction of your content, ensuring that the content produced will be relevant and easily searchable on Google. And that is, in summary, what keyword research is all about. It’s usually a pretty time-consuming task and involves a lot of effort to pour through details, numbers, and comparing long lists of keywords. But it’s incredibly important to do it well. A thorough keyword research will be the foundation of your SEO strategy and content development. Keyword research is defined as the activity of analyzing and finding a list of valuable keywords for the purpose of SEO copywriting. The keywords, or search terms, often become a guide for the direction of your content and marketing strategy. A keyword can consist of a single word but more often than not it’s made out of several words. For example, “search terms” is a keyword, as is “best keyword search tool“. Finding high-volume search terms itself is not enough. You need to ensure that the SEO keywords used in your content matches with your brand, product, or service to the keywords that your customer use. And this is where keyword research happens. Once you have performed adequate and thorough research, only then will you be able to craft a viable SEO strategy. With a good strategy, you can then create a detailed plan of action to achieve your goals. Although it’s still a technically correct term, there may be a mismatch to what your potential customers are searching for on Google. Keywords that you choose to use should be those that your target audience is searching. Only then will it make the effort of optimizing your page worthwhile. But more importantly, two similar keywords often have different search volumes, trends, and competition levels. Choosing a more relevant, higher volume keyword could give you better results compared to its other semantic or related keywords. There are many ways to do it, either manually or using a keyword research tool like Keyword Tool. But whichever way you choose, there are a number of important steps that you need to take. 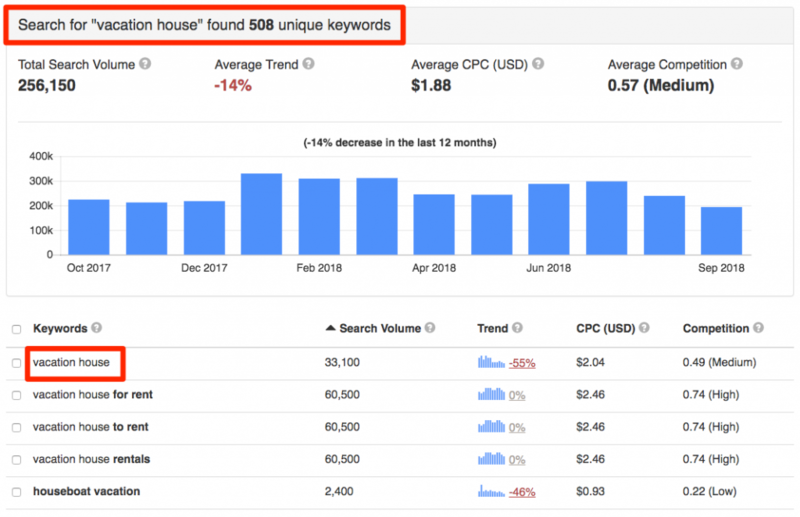 Before you figure out what are the best keywords to optimize your page, it’s best that you start by diving deep to learn more about your topic or niche. It can give you out-of-the-box ideas and help discover angles to your marketing and SEO strategy that you might not have thought about before. Talk with your existing customers and get to know them better. Find out the terms that they use when describing your brand, company, product or service. Try to think from the perspective of your potential customers. If you were to share the brand’s offering to a friend, how will you talk about it? Get involved in your topic or niche’s online communities, like forums and social media networks. Read the discussions and find out any pain points that are mentioned regarding your niche. What promises do you make on your website? Once you have effectively answered these questions, then you need to specify what is your brand’s mission. Do you want to increase the number of subscribers? Or do you have a sales target by a certain date? 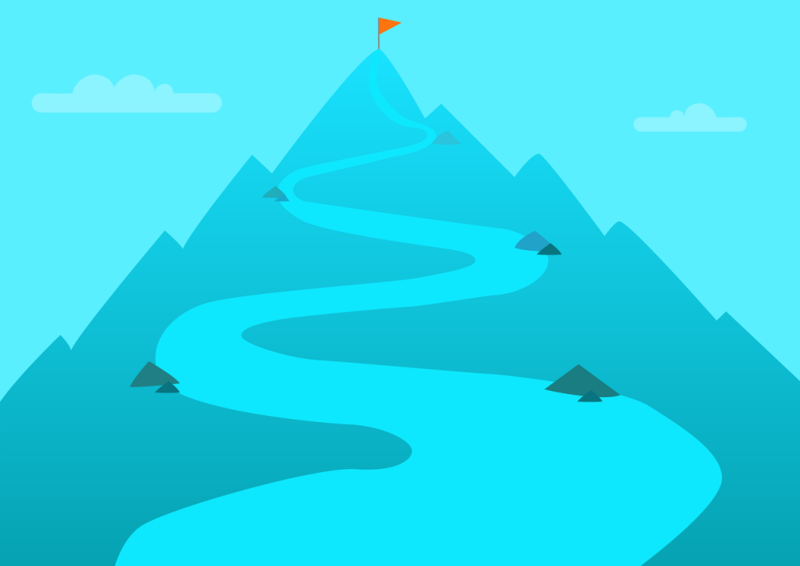 It’s important to define your goal because it will provide a direction for your SEO strategy and plan. The search terms that you will eventually use should be aligned to your goals, ideally segmented into different content marketing funnels. Your goals will also inform the purpose of your SEO copywriting and content. Write down your goals. Draw charts. Document them. These will provide the framework and direction needed for your top-level content and online marketing strategy. Based on your the main category of your brand and the goals you aim to achieve, break it down to smaller topic buckets. Make a list of all the topics related to your brand that you want to rank on Google. They need to be topics that are important to your business and related to your buyer personas. Think about what type of topics will your target audience search for on Google? These topic buckets can then later be broken down to keywords that are related to those topics. Now that you’ve broken down your main category to different buckets of sub-topics, you can start creating a list of seed keywords. These keywords need to be related to your various topics, and more importantly, are terms that your target audience might be searching on Google. Seed keywords, or focus keywords, are important as they will become the foundation of your keyword research. They define your niche and identify your competitors. If you’re wondering how to find the seed or focus keywords of your brand or product, it’s actually a lot easier than you think. All you need to do is describe your offering as simple as possible and brainstorm how other people might search for it on Google. You might assume, “shouldn’t keyword research begin with using a keyword tool?” There’s no right or wrong answer there, to be honest. But there is an obvious advantage to researching search terms from your brand or business perspective first and foremost. It avoids you from getting too bogged down with keywords and helps you gain a wider perspective for your content and SEO strategy. 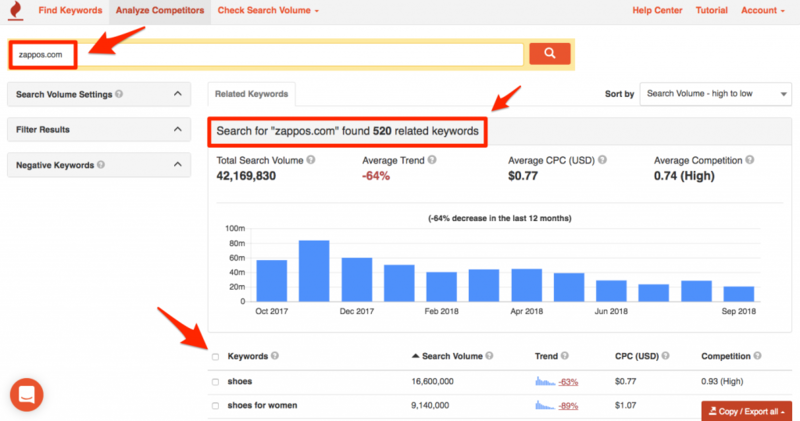 Once you have identified your goals, topics, and a list of seed keywords, it’s time to use keyword research tools to further refine your search terms. One option is to use Google Keyword Planner. Unfortunately, Google only gives approximated search volumes. Instead, you can use a tool like Keyword Tool. It will give you a lot more details and help you narrow down on the right direction for your search terms. On top of that, it can also give additional ideas on related keywords. Plugging in high-volume keywords to bump up rankings for a page used to work pretty easily. But it’s not so simple anymore these days. Today, Google’s machine learning search algorithms compare search terms with user queries to learn about search intent. Are they searching because they have a question and want an answer to that question? Are they searching for a specific website? Are they searching because they want to buy something? Try to put yourself in your target audience’s shoes. Why would they search for your topic? How will they key in the terms? Are they looking to buy something? Or are they looking for a service to solve a specific problem? Once you have a good idea of the search intent behind potential readers or customers, you will be able to use it to fine-tune your keyword research. Getting a list of high-volume keywords related to your brand or topic is great. But finding keywords that directly match your target audience’s search intent is even better. Seed keywords are often shorter search terms that are closely related to your brand’s main topic or category. Long tail keywords, on the other hand, are more descriptive and often related to your brand’s smaller buckets of sub-topics. Matching your target audience’s search intent to long tail keywords is far easier compared to seed keywords. Long tail keywords usually get fewer clicks, but since they are focused on a specific topic or product, they often get a higher conversion rate. 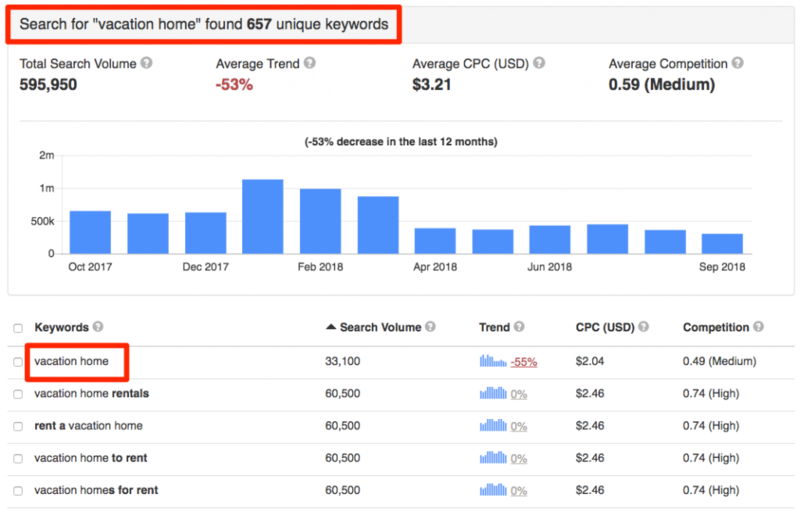 Doing keyword research on Google about your brand alone is not nearly enough. You also need to be aware of what your competitors are doing. The better you understand the content landscape of your industry, the better it will be for your SEO. Understanding the competitiveness of different keywords will also allow you to identify search terms that might be too difficult to rank. But most importantly, you will be able to find keyword opportunity gaps. These opportunities occur when you find related keywords that are related to your brand or industry with low to medium competition level. To find these keyword opportunities, you can perform a keyword search on your competitors. The paid version of Keyword Tool Pro has a competitor analysis function that does exactly that. Key in the URL of your competitor into the search box and the results will show all the keywords that the page ranks for. Once you’ve gone through these steps, you should have enough insights to craft a good content and SEO strategy. You would also have gotten adequate data for SEO copywriting for your content. 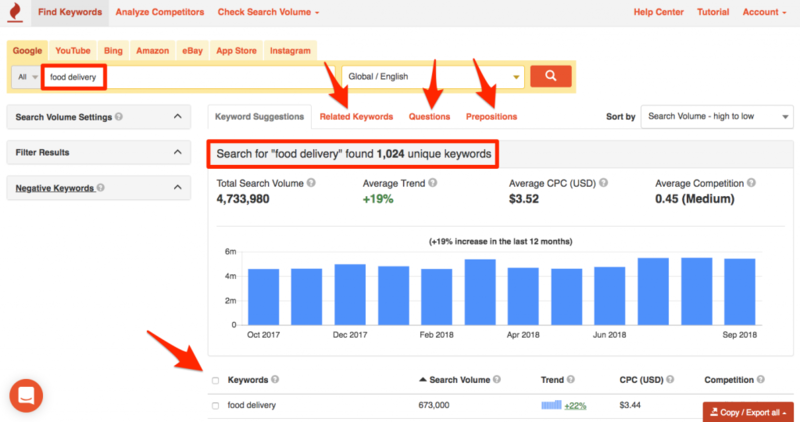 Whether you’re running a content-focused blog, a small business, or a brand marketer, you will need keyword research to kick-start your content and marketing activities. Doing keyword research can be a tedious and time-consuming task. But more often than not, it pays off handsomely in the long run.